Splish - splash - plenty of watersport fun! 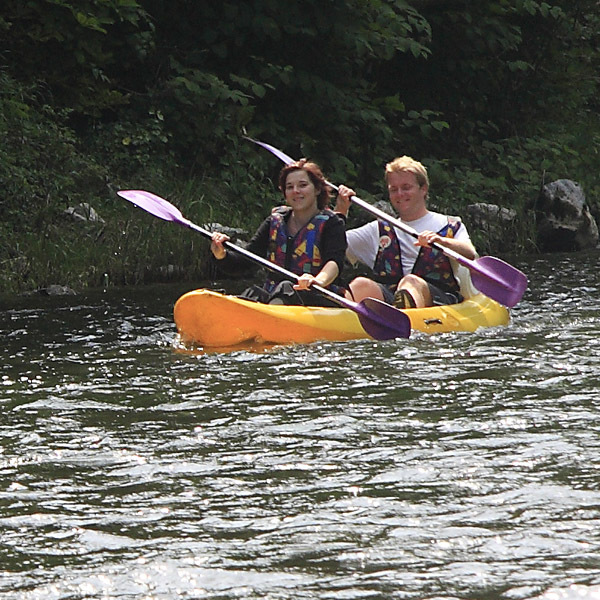 inflatable’s and canoes for 1, 2 or 3 people. Also at Foix, and open to everyone, is a 400m canoeing slalom course with 80 gates. More details and photos are available by following this link. Canyoning is a combination of swimming, climbing, sliding or walking down steep, fast-flowing mountain streams or rivers, armed with a wet suit! Canyoning typically involves jumping into and swimming across superb mountain rock pools, and sliding or abseiling down waterfalls. An easy introduction to canyoning is offered by many of the local teams, at about €30 per person. For the more advanced, there are 'sporting canyonning trips' and custom day or even weekend trips. We recommend Maël Loizance www.facebook.com/mael.loizance to provide a great half or full day for you. 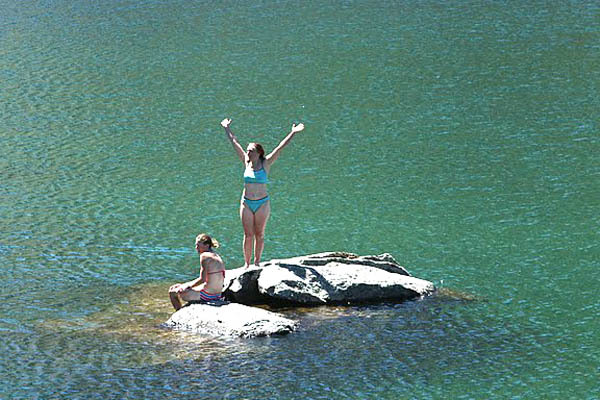 There are some glorious high mountain lakes and stream pools which you can swim in on a hot day, in addition to Lac Mondeley which also has an accompanying beach and cafe. Ideally combined with a mountain walk or yoga on the beach! Check out Pont de Gers pools and also Cascade d' Artigues http://www.visorando.com/randonnee-cascades-de-l-artigue/ near Marc in the Vicdessos valley. The nearest beaches are at Narbonne which is two hours away from Foix. We recommend Leucate plage as one of the prettiest. Narbonne-Plage and Saint-Pierre-sur-Mer offer modern beach resorts just 15 minutes outside of Narbonne. At Saint-Pierre visitors can book lessons in sailing, windsurfing and kite surfing, or hire equipment if they already know how.